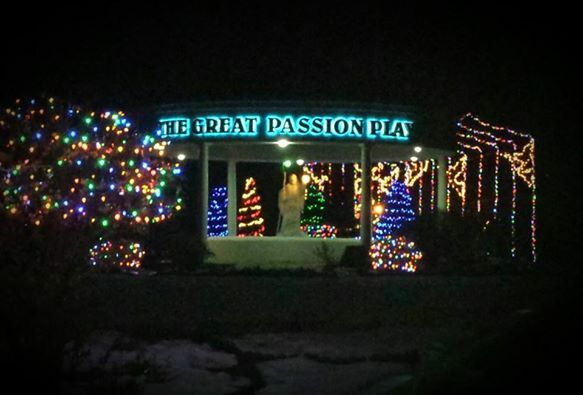 From the last weekend of November through January 2, The Great Passion Play will be celebrating Christmas and the birth of Christ from dark until 8:00pm with a Drive-through light display. Many local churches and businesses have come together to celebrate the Light of the World! 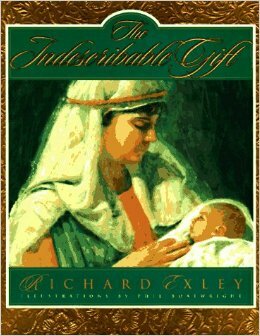 In ten stirring vignettes, bestselling author Richard Exley tells the Nativity story through the eyes of the real-life biblical characters who were there--Mary and Joseph, the innkeeper, the Magi, the shepherds, even King Herod. Filled with full-color illustrations, The Indescribable Gift will deepen every reader's faith with its compelling revelation of God's unimaginable gift to mankind. - Pre-owned copy. Item in Good Condition. If you have any Christmas lights that you would like to donate to the Play, we would greatly appreciate it. 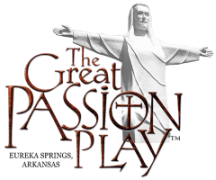 Our physical mailing address is 935 Passion Play Road, Eureka Springs, AR 72632.